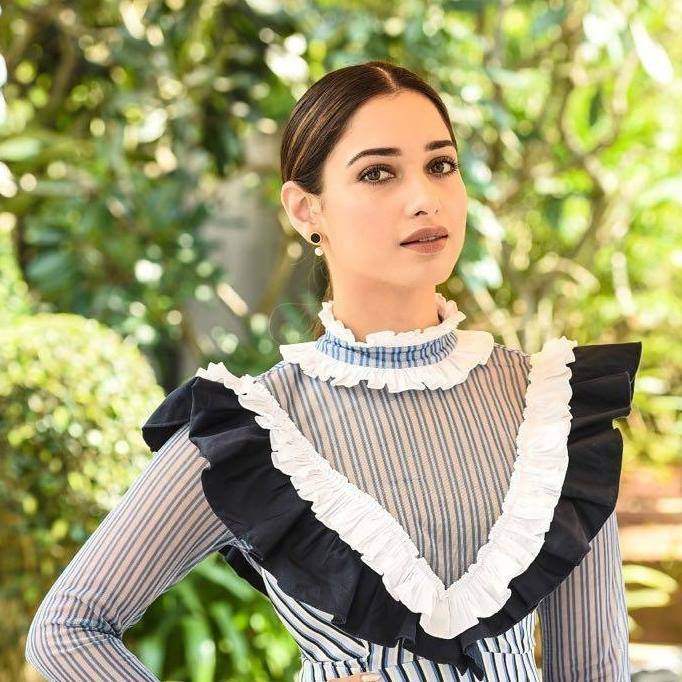 There can be no denying that the lively Tamannaah Bhatia is one of the most talented and gorgeous ladies in the Southern film industry. During her fairly eventful career, the lovely lady has won the love of moviegoers courtesy her sweet personality, A grade style game, sincere performances and of course friendly nature. Furthermore, over the years, she has worked with some of the industry’s biggest names—right from Jr NTR to Nagarjuna—and proved that she belongs to the big league. Now, there is some good news for her fans. In an exciting development, Tamannaah is currently learning Tango for her eagerly-awaited ‘Naa Nuvve’. And, expected, she seems to be enjoying the experience a lot. Speaking about the experience, she said that learning Tango is quite a challenging but and vshe even picked up an injury during the rehearsal sessions. “This is the first time I’m debuting in this dance form and in fact it’s not that easy as it sounds. I got injured a few times already while rehearsing but I have to thank my choreographer Brinda Master for helping me ace this style,” she said. In case you did not know, ‘Naa Nuvve’ is a romantic-musical and also features actor Kalyan Ram in the lead. This will be the 15th film of his career. The film has already created a buzz in the industry thanks to its posters and could turn out to be a hit with the audience. On a related note, this is a busy time for Tamannaah. Besides ‘Naa Nuvve’, she also has ‘Queen Once Again’ in her kitty. It is a remake of the Hindi hit ‘Queen’ and will see Tamannaah essay the role played by Kangana Ranaut in the original version. She will soon be beginning its final schedule. So, are you looking forward to ‘Queen Once Again’ and ‘Naa Nuvve’? Comments, please!